Anyone who has even a cursory understanding of black history would know how great an honor it would be to meet a living descendant of one of the most dominant African American figures and educators. 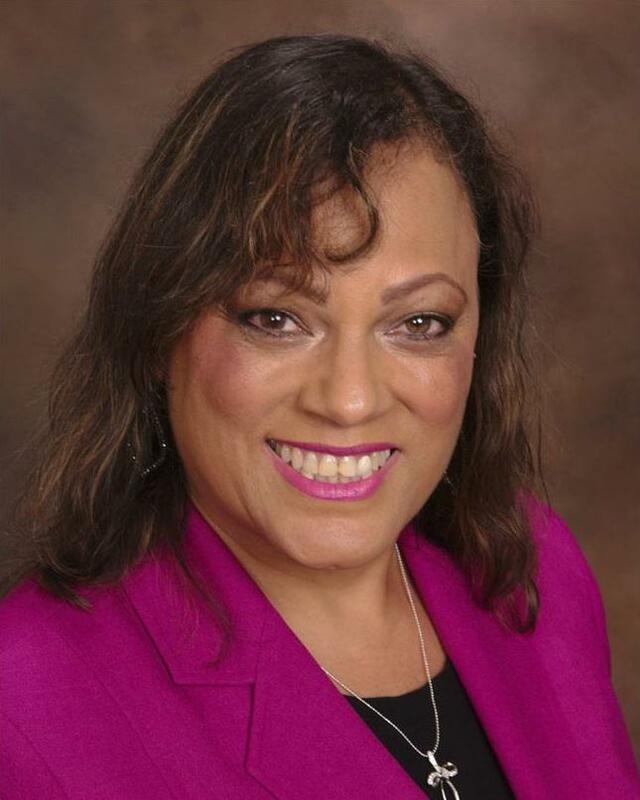 I recently had the chance to sit down and talk to Sarah Washington O’Neal Rush, Booker T. Washington’s great-granddaughter and a professor of psychology and social sciences at Argosy University in the San Francisco Bay Area. Professor Rush has authored several books, including her most recent, “Rising Up From The Blood: A Legacy Reclaimed, A Bridge Forward ,” an autobiography which chronicles her family lineage. The last-born of Washington’s great-grandchildren grew up in near poverty in a single-parent household in Oakland, CA. Despite what she describes as a challenging childhood and adolescence, she was able to rise above her circumstances — but not until she fully grasped how her great-grandfather was able to successfully rise above slavery to become a renowned educator, activist and Black America’s first power broker. Although once a highly controversial figure, he was the most influential black leader of the late 19th and early 20th centuries. Rush’s great-grandfather was born a slave on a Virginia plantation. As a child, one of his duties was to carry the books of his slave master’s children as he walked behind them to school. That is where his zeal for education began. He was freed at age 9 and soon after, while still a teen, he worked his way through Hampton Normal and Agricultural Institute (now Hampton University) and later attended college at Wayland Seminary in Washington, D.C. (now Virginia Union University). The 25-year-old Washington was hired as principal of the newly opened Tuskegee Normal and Industrial Institute, now known as Tuskegee University , now one of the largest historically black colleges and universities (HBCU). Washington became an advisor to several U.S. presidents and ally of the great philanthropists of the industrial era. That doesn’t mean he was accepted by all. Shortly after moving into the White House in October 1901, Theodore Roosevelt invited Washington to dine with him and his family, provoking an outpouring of condemnation from mostly Southern politicians and press. Against a backdrop of overt racism of the pre–Civil Rights era, many were furious that Roosevelt would invite a black man to dine with him at the White House. This reaction affected subsequent White House practice, and no other African American was invited to dinner for almost 30 years. During my conversation with Professor Rush, she was generous with untold facts and stories of Booker T. Washington. Marcus Noel: Your great-grandfather met with Presidents Roosevelt, Taft and McKinley? That was extremely controversial at that time. If he was still living, do you believe he would meet with President Trump? Sarah Rush: Yes, he would. I’m sure he would meet with President Trump. His whole life’s work was about the advancement for blacks, the underprivileged, former slaves and their descendants. When he was alive, he was friends with [Andrew] Carnegie, [John D.] Rockefeller and [Julius] Rosenwald because he realized he could not make change alone. He knew he needed to work with others to accomplish his goals. Whether we like it or not Donald Trump is commander-in-chief. So if a conversation with him in certain regards can help make change, that’s what he would do. But Booker T. knew how to deal with people in a great way that fostered relationships. Noel: Let’s talk W.E.B. Dubois and Booker T. Washington. How was their relationship? Rush: Contrary to popular belief, Booker T. Washington and W.E.B. were friends before they publicly split ways. Booker T. would actually give money and support W.E.B. DuBois’ causes under the table because it was important to him that Tuskegee Institute survived. DuBois even accompanied Washington on several meetings with influential people like Andrew Carnegie. They had a great deal of respect for each other even after they had a public split. They respected and understood each other’s perspectives. Noel: They were two great leaders of the black community in the late 19th and 20th centuries. However, they sharply disagreed on strategies for black social and economic progress: DuBois’ “Talented Tenth” vs. Washington’s philosophy of self- efficacy and racial solidarity. Whose approach is more relevant to today’s skills-based economy? Rush: Both. They need to coexist. Booker T. Washington was a man ahead of his time if you look at how things are today. By requiring each student to master at least two trades, Dr. Washington ensured that they would always be able to contribute to the betterment of society; be self-supporting after graduation; and become independent business people, farmers, and teachers, rather than wage-earners or servants of white employers. It is said that by 1905, Tuskegee University produced more self-made millionaires than Harvard, Yale and Princeton combined. By requiring each student to master at least two trades, Dr. Washington ensured that they would always be able to contribute to the betterment of society; be self-supporting after graduation; and become independent business people, farmers, and teachers, rather than wage-earners or servants of white employers. So it’s completely untrue that he wanted blacks to stay slaves as some suggests. 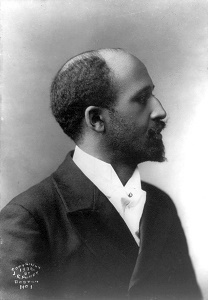 Although they disagreed in some areas, DuBois in Souls of Black Folks compliments Washington on his work for uplifting the masses (the 90% not in Dubois Talented Tenth). Washington wanted his people to have skills, he wanted our people to be business owners, land owners, property owners. Noel: As a young black entrepreneur, I definitely find great value in Washington’s philosophy today. But I’d agree that both philosophies are needed for exponential progress of the community. Part of my work at Heart of Man Ventures, is actually teaching young adults how to become entrepreneurs and create success for themselves. Given the current education system today, how would your great-grandfather respond to these challenges? Rush: Today is far-fetched from where he thought things were going. Given the fact he was able to push through in even harder times back then, he would not let the politics of today stop him for making a difference for tomorrow. He would find a way to get to to progress and improve their (black) lives. Just as he stated around the time of the Atlanta Compromise Speech , he says “just give blacks the resources and the equality we need to live. We are not looking to socialize and join your club’s.” He wasn’t into to that, he just wanted equality and economic resources. Noel: Are historically black colleges and universities still relevant? Rush: Absolutely. I think they matter because they inspire young people to live up to their full potential. It’s the only place where you see faces like yours all aiming to progress in life and gain a quality education. I grew up without my father, not knowing my history, and a string of bad choices as a teen led me to experience tumultuous life circumstances. I credit my first trip to Tuskegee University, where I learned about my history as a direct descendant of one of the most powerful and influential black men in America, to what led to a dramatic life shift. I successfully rose above my circumstances, and today I’m an author, speaker and an educator. I use these platforms to empower others who are facing similar life challenges. I accomplished this because of my visit to an HBCU campus. It’s special. Noel: Are there any fun facts that most people don’t know about your great-grandfather? Rush: I will say there is a lot that people don’t understand about him. Case in point, people referring to him as a “sellout” and wanting to keep black people down because they didn’t understand the context of his vision at that time. He brought in the best and brightest minds to Tuskegee, such as George Washington Carver. He also invited Dubois to head a department at Tuskegee but he turned it down because they were beginning to disagree on important issues. He taught students entrepreneurial skills. When students arrived they had no idea they would be growing their own food, cutting down trees, building their own buildings, learning prayer, and ROTC, he believed in military and discipline. He believed we could be self-sustainable. Pulling ourselves up by our bootstraps. He was forward thinking. He accomplished a ton in a short period of time. He was only 59 when he passed away due to health complications. At the time he became sick, he was in New York City. He insisted on going back to Tuskegee before he died. He said “I was born in the South, raised in the South, and I will die in the South.” After returning home, he died the next day. Marcus Noel is a Forbes 30 Under 30 2016 alumni and judge for the 2017 Education list. He is a social entrepreneur and founder of Heart of Man Ventures , with the belief that entrepreneurship is the single best way to transform the lives of young adults. In the late 19th and early 20th centuries, African American leaders Booker T. Washington and W.E.B. DuBois promoted different civil rights strategies. In this lesson, learn about the policies and approaches of Washington and DuBois. Are you more of a ‘go along to get along’ person, or do you think it’s better to stand up and fight when there is an issue you feel passionately about? When it came to the African American civil rights movement of the late 19th and early 20th century, two leaders exemplified these divergent strategies: Booker T. Washington and William Edward Burghardt (W.E.B.) DuBois. Washington’s accomodationist policies reflected his willingness to not rock the boat too much with regard to civil rights. DuBois pursued a more aggressive tack through the Niagara movement and the NAACP. Lets look first at Washington. By the 1890s, Booker T. Washington was a well-known and respected leader in the black community. He founded the Tuskegee Institute, which became the most important technical school for African Americans. He rubbed shoulders with prominent whites as well, such as businessman and philanthropist Andrew Carnegie. So, when in 1895, the city of Atlanta put on an exposition to celebrate the industrial and social progress of the South, Washington was invited to speak. His Atlanta Compromise speech made Washington the most recognizable African American in the country. The speech promoted an ‘accomodationist’ policy, and urged blacks to ‘Cast down your bucket where you are.’ This suggested that African Americans should accept segregation and disfranchisement (the denial of the right to vote) and instead work towards progress in business and technical education. As he spoke, Washington symbolically held up his hand, stretched out his fingers and then shut them into a fist. ‘In all things,’ he proclaimed, ‘we can be as separate as the fingers, yet one as the hand in all things essential to mutual progress.’ With these words, the mostly white audience cheered. In essence, Washington emphasized mutual obligations. For African Americans, they would accept disfranchisement and give up working for social equality. In return, white leaders should work to decrease racial violence, especially lynching, and support African American success in agriculture, industry, and business. Raised in Massachusetts, a young W.E.B. DuBois went to college in Tennessee, where, he said, I ‘came into contact for the first time with a sort of violence that I had never realized in New England.’ This led him to approach the struggle for civil rights differently from Booker T. Washington. DuBois pressed African Americans to not accommodate the current situation of segregation and disfranchisement, but to fight against it. His 1903 book The Souls of Black Folk made the point that African Americans couldn’t do well in business or technical schools, as Washington suggested, without self-respect, without the fear of violence, and without the constitutional rights of other Americans. In 1905, DuBois and other leaders in the African American civil rights community gathered on the Canadian side of Niagara Falls. Hotels on the U.S. side, they found out, would not admit black patrons. This Niagara Movement organized to fight against racial violence, disfranchisement, and segregation. This also led to the creation of the National Association for the Advancement of Colored People (NAACP), with DuBois at its head. In the 1920s, the NAACP became more active in promoting civil rights and challenging the status quo that Washington had urged blacks to accept. 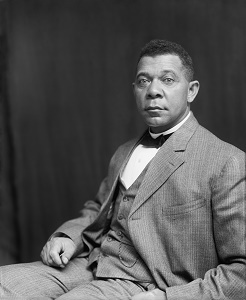 In the late 19th century, African American leader Booker T. Washington exemplified the ‘accomodationist’ approach to civil rights. This strategy emphasized the acceptance of African Americans’ social and political situation in relation to white America, and urged blacks to work for economic betterment. Conversely, W.E.B. DuBois argued African Americans should aggressively challenge segregation and disfranchisement, rather than accommodate to the social and political situations imposed by whites. DuBois participated in the Niagara Movement and used the National Association for the Advancement of Colored People (NAACP) as a vehicle to work towards social equality, desegregation, and the promotion of other civil rights.